Maddie and Mackenzie Ziegler are about to leave the ALDC, and Abby Lee Miller is beside herself. She knows that the show must go on, but she also knows that, despite the adage of everybody being replaceable, it’s tough to replace Ziegler. An obvious direction to take after the Zieglers’ departure is to have the moms bicker over who will get to be the next Maddie, but this will only do a huge disservice to those who remain with the ALDC. They already have enough to deal with, now that one of their best buds is departing; the last thing they need is to be mercilessly pitted against one another. One of the top contenders for the all-important role of “new Maddie” on Dance Moms is Brynn Rumfallo, a very talented young dancer who has been compared to Ziegler on many occasions. Yet, despite all of her hard work, Rumfallo just hasn’t turned into the little Ziegler that everybody wants her to be. She’ll probably never dance just like Ziegler, but that’s not the end of the world. Rumfallo is a great dancer in her own right, and instead of trying to become somebody else, she should focus on being the best Brynn she can be. Yes, she can learn a lot by observing Ziegler’s stage presence and style, but ultimately, she needs to be her own dancer. 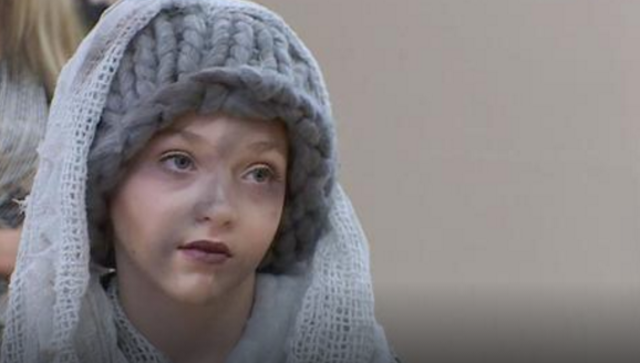 Rumfallo’s comparisons to Ziegler got especially annoying during tonight’s episode, when she took on a solo about homelessness that reminded the cast of a particularly memorable Ziegler dance. Tonight’s dance was definitely a challenge for Rumfallo, as her technique is stronger than her acting. But her performance was beautiful and it showed that she’s making a lot of progress. Of course, instead of just enjoying the dance, the moms quickly launched into the comparison game. Why can’t they just appreciate how hard Rumfallo is working and recognize what she does well? Apparently, that would be showing way too much kindness and compassion to a 12-year-old girl. The reason Ziegler is so good is that she’s discovered her strength and run with it. A few of the show’s other dancers have done the same to some extent, but they could do an even better job of embracing their natural gifts if Miller (and the rest of the world) would shut up about Ziegler and pay attention to the current members of the ALDC. What do you think of the ongoing hunt for a new Maddie Ziegler? Comment and share your opinion below.